The pack to pick if you love to read, but hate to spend money! Ten lovely books for a fabulous price. Buy it first, then tell all your friends. This pack may have a small price tag, but you’re getting big talent from the best authors and series around. Julia Donaldson, Holly Webb, Alex T. Smith: they’re all in here! Loads of cheerful favourites to build your home library. Or why not split up the pack into party bag treats or fantastic mini gifts? Smart! 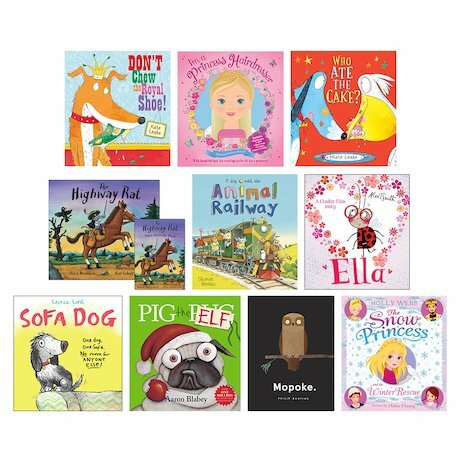 Please note: this pack was titled 10 for £10 Christmas Picture Books Pack on our November UK book clubs offer leaflet.